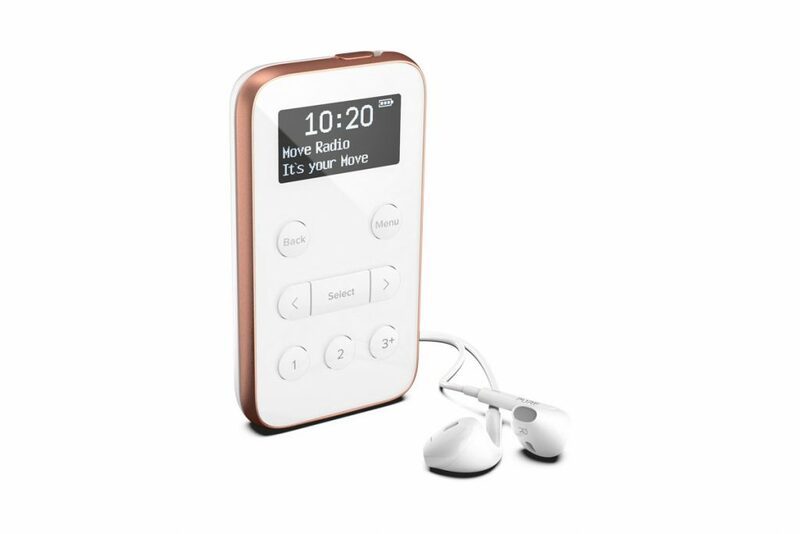 Pure has released the Move R3, joining the Move 2520 in its personal DAB radio line-up. Personal digital radios are a great way to listen to music, news and sport on the move without eating into your smartphone’s data or battery life. A clear 1.6″ OLED display shows details of the current station, the time and battery level. The display is behind a tempered glass screen front. This should help protect the screen from knocks and scratches while on the move. The Pure Move R3 has a built-in rechargeable 2000mAh battery, providing up to 15 hours of listening time. Radio stations can be listened to while the radio is charging through the micro-USB port. Noise-isolating earphones are included in the box, but existing headphones or earphones can be used instead. The headphone cable also acts as the aerial for digital radio stations. Separate bass and treble controls are included to fine-tune the sound of radio stations. Unlike Pure’s other personal DAB radio and the Roberts SportsDAB5 the Move R3 doesn’t have a wheel to navigate through radio stations. Left and right buttons with a central select button are found on the front of the radio. Plus and minus buttons are on the right side of the radio, with power and also a lock switch on the top. The 3.5mm stereo headphone output is found on the bottom of the radio. Direct access to FM and DAB presets is enabled with dedicated buttons on the front of the radio. Ten presets on FM and ten on DAB are available. With dozens of stations on digital radio this will make accessing favourite stations much quicker. The radio itself weighs in at just 88g and measures 102 mm high. It’s twice as thick as a modern smartphone at 15 mm, but at less than half the weight should drop into most bags and pockets. The Pure Move R3 comes in white with a bronze band or black with a silver band. Verdict: Pure's Move R3 is its latest personal DAB/DAB+ digital radio. A modern and functional design with a choice of two colours make it an stylish companion on the move.